Bet you can’t have just one. One of the things I stress when it comes to fashion is the importance of accessories. Fashion doesn’t always have to be about the clothes, it can also be about the way you style them up with some jewelry. An awesome way to add more depth to an outfit is to ACCESSORIZE. One of the awesome styles popular now is layering necklaces. It’s the perfect way to add style to any outfit, plain or intricate. 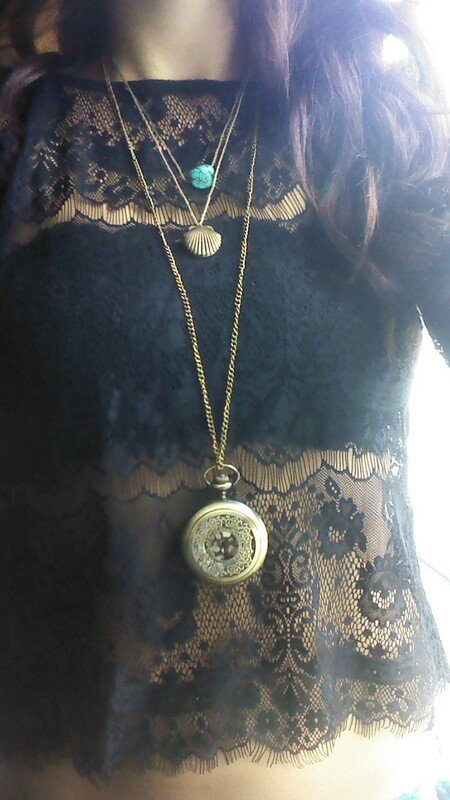 Here are a few of the layer necklace sets I wear. The key is to find a few necklaces that are the perfect length to be worn together. If you get lucky, you can sometimes find necklaces that already come as a set. 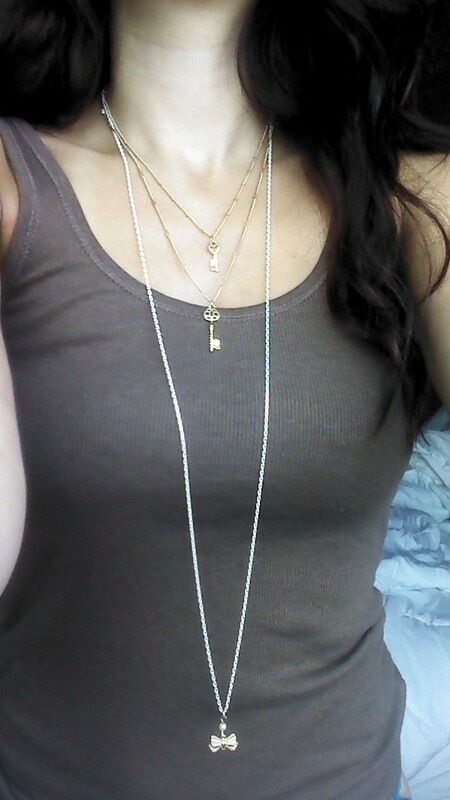 Like my 3 layered one shown in the last picture, which is actually just one necklace! There isn’t really a limit to where you can find these necklaces. The ones I have here are from all over including Forever 21, Charlotte Russe, a thrift store and even one given to me from a friend! Like I said before, the key is finding ones that have the right length to be paired together. 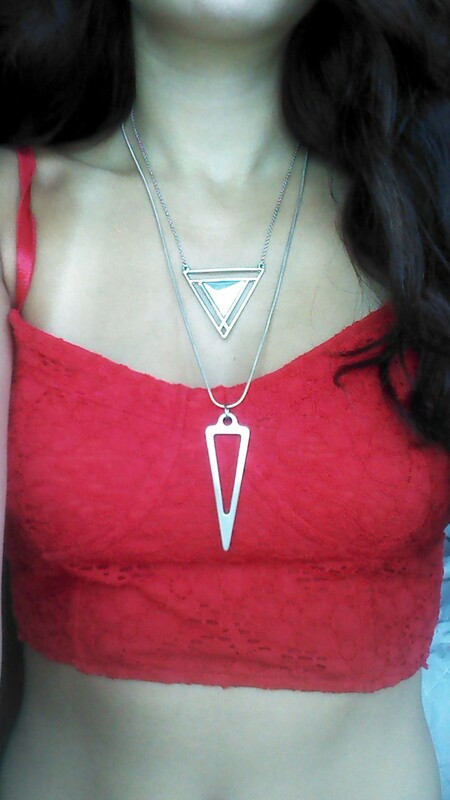 I also love wearing lots of necklaces together. I usually start out with one, then add another and so on. All of those combinations are lovely!